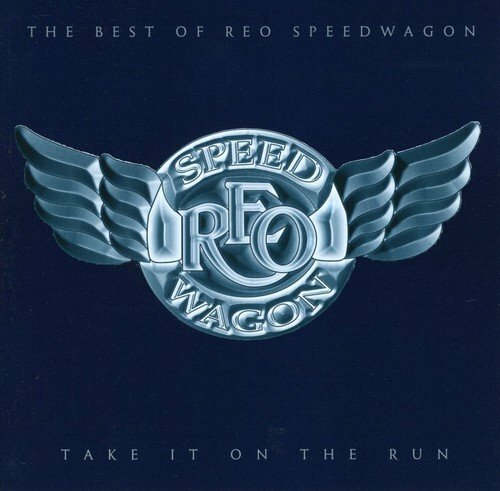 Take It On the Run: The Best of REO Speedwagon by Columbia at WA Tunes. MPN: 5007332000. Hurry! Limited time offer. Offer valid only while supplies last. Import-only compilation from the American Classic Rock act who hit their peak with their 1980 album Hi-Infidelity that sold seven million in the U.S.
Import-only compilation from the American Classic Rock act who hit their peak with their 1980 album Hi-Infidelity that sold seven million in the U.S. alone. The band began as a hard rockin' outfit, ignored by the critics but adored by their fan base. When vocalist/songwriter Kevin Cronin took the reigns, he steered the band towards a softer, gentler direction, which earned the band huge commercial rewards (although the critics began to dislike them even more). in the '80s, REO scored many hits and, for a time, were just as popular as Journey, Foreigner and other like-minded bands. Tracks include the AOR radio staples, 'Keep on Loving You', 'Can't Fight This Feeling', 'Don't Let Him Go' and 'Take It on the Run'. 15 tracks in all. Sony. 2000.